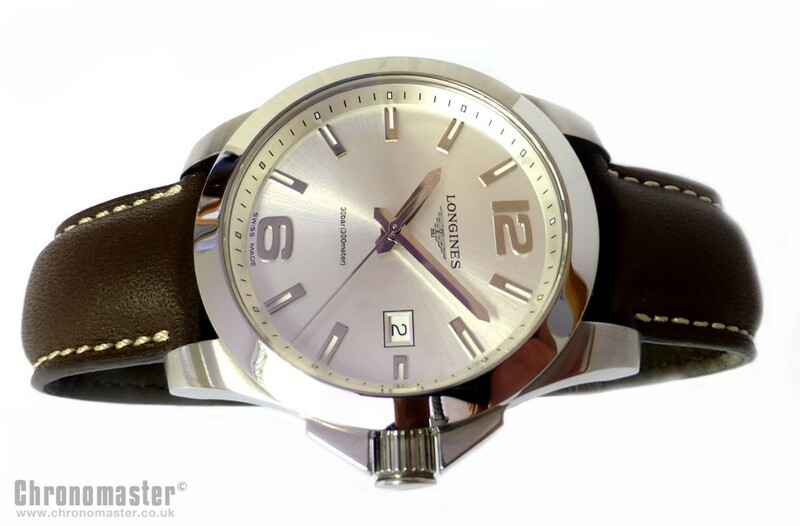 Mint condition and new looking Longines Conquest quartz wristwatch. 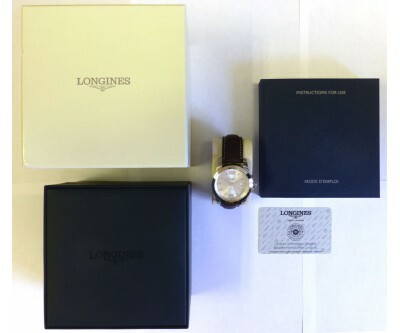 Originally purchased in from authorised Longines dealers Chisholm Hunter in Glasgow in April 2013 so just 2 months old when taken into stock.. 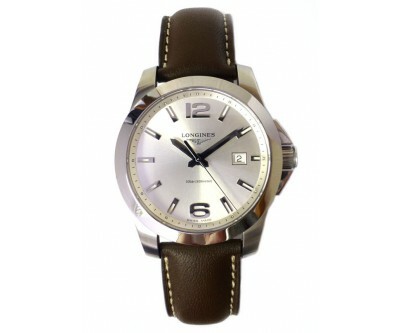 The Longines Watch Company was started in 1832 by Auguste Agassiz. Agassiz opened a workshop in St Imier, Switzerland. He operated what today would be called a "Home Business". Workers would work on watches out of their own homes, which Agassiz would later sell. 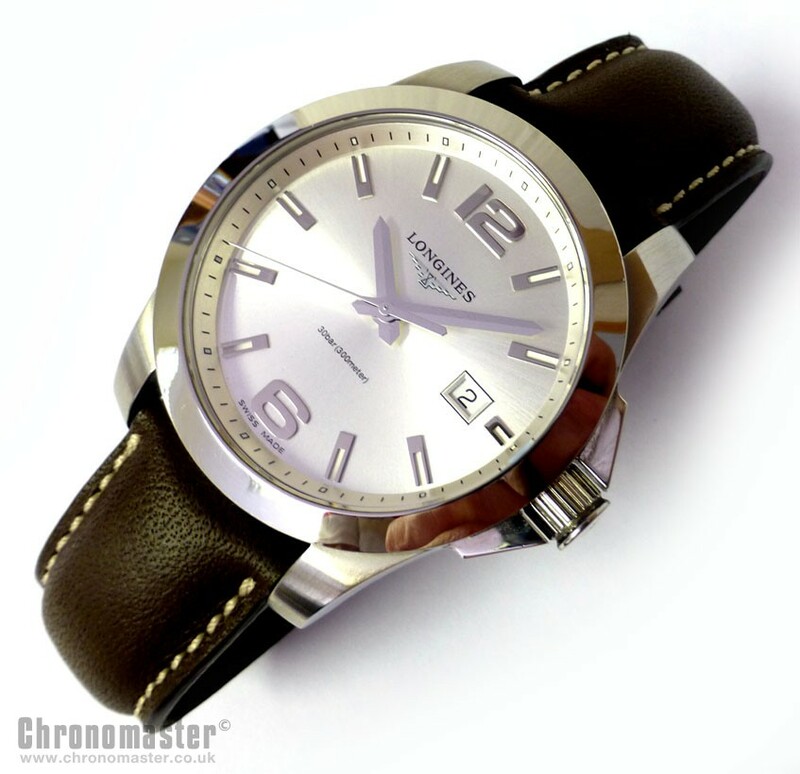 The company began producing chronographs in 1879. 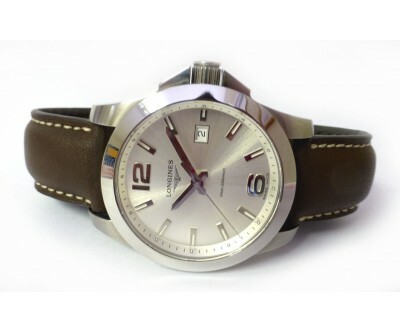 They later produced aviator watches and cockpit instruments, they are still going very strong today and are owned by the largest Swiss watch making group, Swatch. The Hydro series evokes the prestigious dimension of sport in which aesthetics, precision and the beauty of the action predominate. 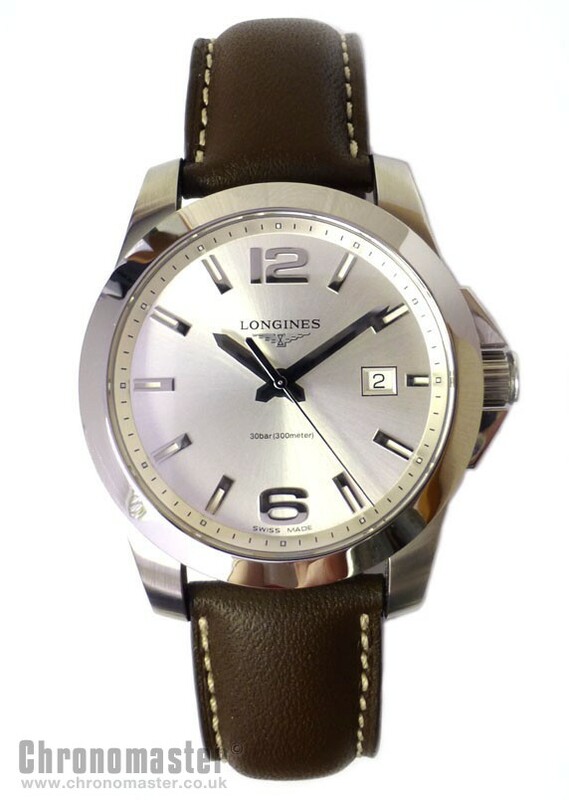 It introduces the subtle ambivalence of an outline that is both sober and robust, and perfectly illustrates Longines' innate ability to match elegance and performance. Values revealed by the aesthetic purity and detailed manufacture of the automatic watches and chronographs of this series. 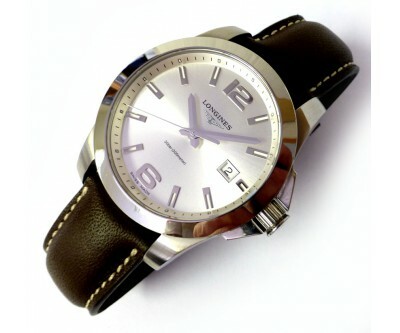 This is a typical sports style watch large case and silver dial with large numerics. 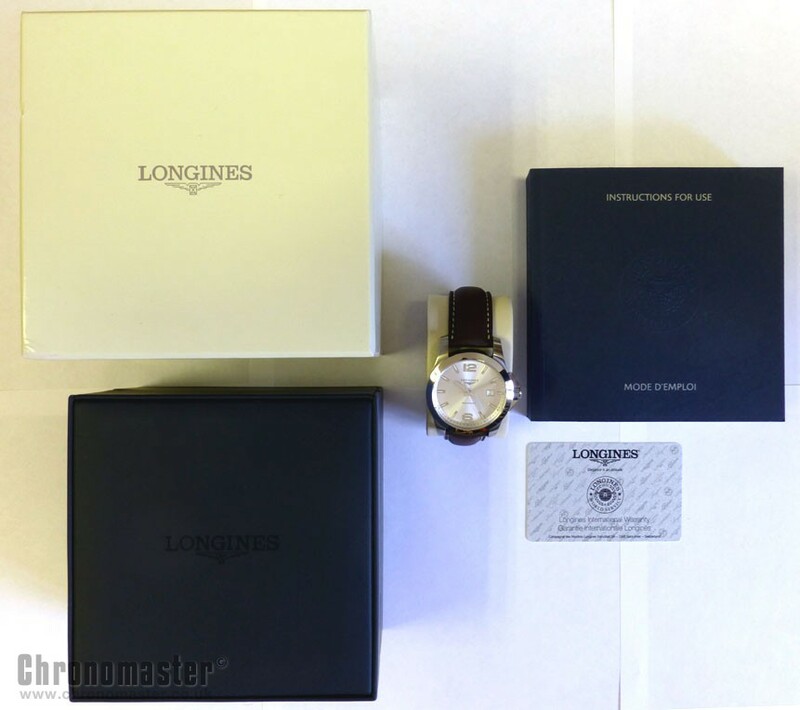 It has got a screw down crown and sapphire crystal, It comes on the original Longines signed strap with folding deployant clasp. 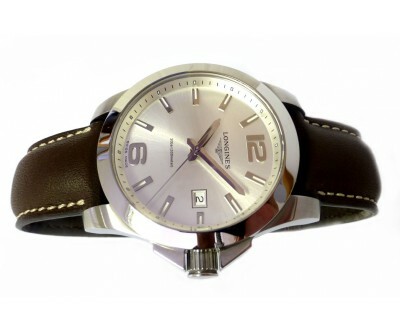 Swiss made quartz movement, stainless steel case. 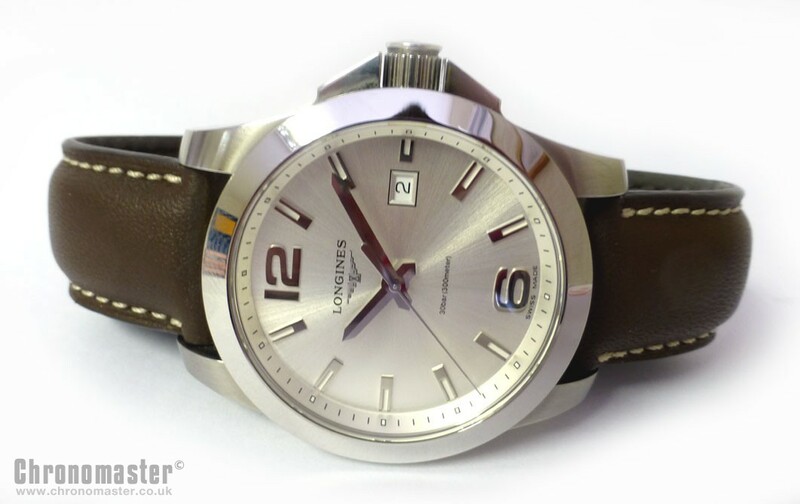 Dimensions are: width is 41 mm excluding crown, 45 mm including crown and 51 mm lug to lug and thickness is 12 mm.